In the wake of Pat. 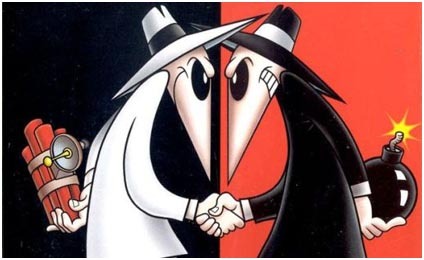 Kirill’s rather interesting visit to Poland, we have seen some fallout. 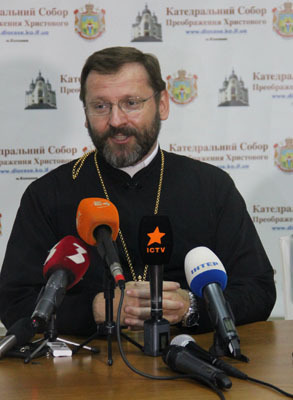 It appears that the rather antagonistic Greek Catholics of Ukraine have suddenly decided it is necessary to pursue ecumenical dialogue with the MP. What makes this so interesting, is that, up to this date, the main issue that has held back MP ecumenical relations with the Vatican has been the issue of the Greek Catholic Uniates. In Antioch it is no issue, as Antioch is openly in communion with numerous other heretical groups (including the Melkites); Alexandria shares a similar position, and Romania has concelebrations with Uniate clergy on an ongoing basis. However, the MP has long sought after the coveted prize of the Uniates; they are the key to the MP union with Rome. However, it seems the supposedly ‘non-ecumenical’ meeting of Pat. Kirill with the Polish Roman Catholic leader Abp. 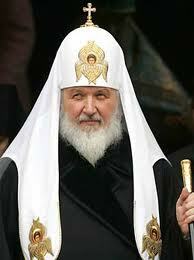 Jozef Michalik, has led to statements by the Uniate Patriarch of Ukraine. With Pat. 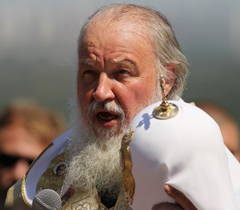 Kirill pushing for closer relations with the Vatican and it’s subordinate churches, like the Polish Roman Catholic Church, it seems a door has been opened up for a resolution to purely power issues that have troubled the MP. If the issue of the Ukraine can be resolved to the MP’s satisfaction, there will no longer be any pretense on the MP’s part to intercommunion with Rome. The nature of such heretical actions matters not a wit to the Sergianist leaders. The MP has no concern for theology of God; it’s ‘theology’ is that of its true ‘god’, power. And, unfortunately, by power, I mean the Devil.